The article was first published in GRIPPED Magazine last year, the Canadian climbing magazine. Climbing has a long history, some would argue a noble one, but who are its rulers? Who are the kings? Despite what you think, it’s not the great climbers, it’s the bureaucrats and the merchants. The people in charge are old, flabby and rich and way past passion, if they ever had any that is. The true sporting kings of climbing are often marginalized by writers and editors who kneel at the feet of entrepreneurs with their begging bowls. And thus the great state of climbing is often rudderless and drifting. You wouldn’t know any of that if you went to the Mello Bloc bouldering festival in Italy of course, because the people who were honoured there were climbers, real honest-to-god climbers. Adam Ondra and Chris Sharma were mobbed like the rock stars they are, and it’s only right.They are rock Ninjas, masters of their great art, at a certain pinnacle of perfection. Do I sound like a fan? 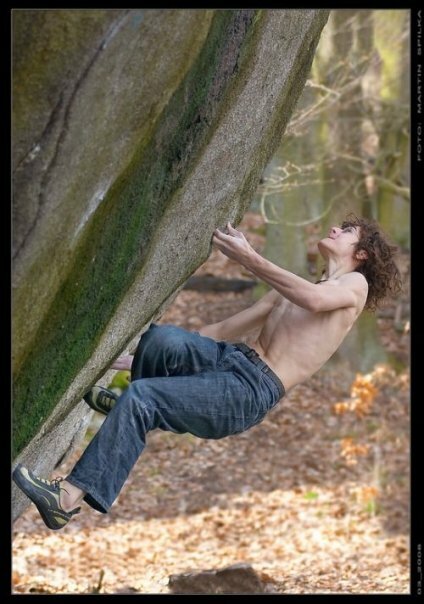 Damn right I am a fan, and so I took the time to talk to Adam Ondra, and try to find out more. 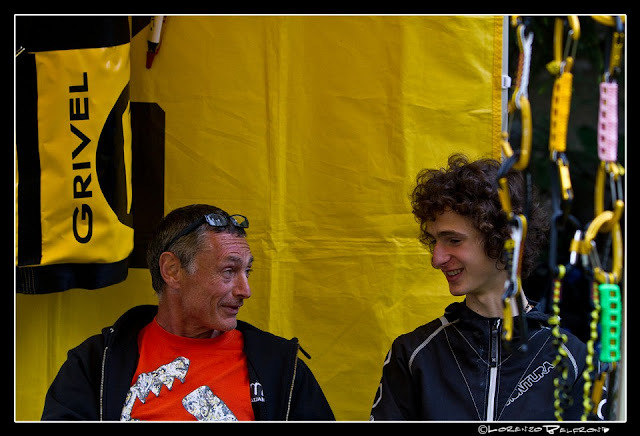 Adam Ondra is now just 18-and-a-half years old, and has done more climbing than most national teams. He is also a pleasant, presentable guy with a dark, terrible secret; he is very, very passionate. Adam, a Czech boy, came to my attention when he was about 12 years old, and like a lot of old fogeys I didn’t want to believe what I was hearing, not just about Adam but about rock climbing in general. Adam had just on-sighted an 8b at Osp in Slovenia. I and many of my rock-climbing buddies were gobsmacked, some ex-pros didn’t want to believe it. 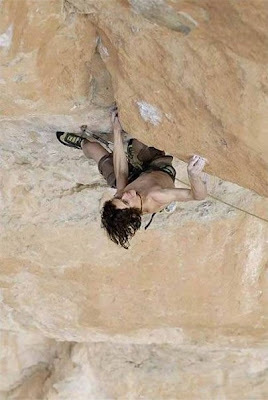 Two years later he onsighted two 8b+ climbs at St-Leger in France, one of which is today thought to be 8c. Climbing had not just come of age, because other great climbers were pushing the envelope too, what was crazy was that it was a practically pubescent kid from the “arse end of the old eastern bloc,” as the best climber in Britain put it. What was happening? Don’t ask me, “it’s a mystery,” was my retort at the time, but most of the climbing establishment were quite happy to marginalize this kind of result, because clearly world advertisers aren’t interested in a kid with an odd name like Ondra, from a city named after a cartoon dog called Brno. Unlike a lot of people, I had been to the Czech Republic and knew it to be a European country with a large climbing population, sophisticated people and gorgeous capital city. Tomas Mrazek, another Czech, was World Champion for a time, and it was a pleasure to watch him annihilate at World Cup competitions. He also came from Brno. One of the first things I asked Ondra was who was he influenced by and he naturally mentioned Mrazek. Not just because he came from the same city, but because he hadn’t the more obvious advantages of living, say, in the south of France. The cliffs around Brno aren’t the greatest and the climbing wall facilities likewise not top-notch, but Tomas has something that I was quickly learning Adam seemed to have in spades also: that old-fashioned thing called willpower. Many, if not all the greats, have willpower. You take your liking for climbing, and it turns to passion, and you forge it by your indomitable will into tendons of steel, and with this great force you vanquish gravity. A simple explanation, but as you look into Adam’s eyes, it’s easy to believe that he has got it, and you just don’t. While talking to me he would occasionally be talking to others at the same time, in four different languages. So why is Ondra so good? Well, paradoxically, it might be because he’s so young. He has a stable life, sheltered from the world by loving and considerate parents, and it is a climbing family. It’s a close, strong family, that have helped nurture and then encourage a talented boy, who may have some of the qualities that make someone rise above the marks of others. This, Adam is very willing to tell me, and he gives much of the credit to his ‘support system,’ and it’s not a ploy to make you think he’s a nice boy, he is genuinely very grateful. His parents met through climbing, and his sister Kristyna has climbed 8b, bare facts, that are important. The family has a logical turn of mind, and a strong work ethic. Ondra is so used to saying this, that he doesn’t realize it’s not super-normal. When I ask him about school he again gives credit to the school for letting him make time up, as long as his grades are good, they don’t worry. “But isn’t it hard for you to make the time up?” I ask. “Not really,” he says, just like that, and clearly it is just like that. Adam is prepared to work hard, and logically sorts it out, works hard and produces good results. There you go kids, easy. Well, not so easy. Before school Adam does 50-move circuits on a fairly boring wall for laps. He wakes up early, and does them. Fifty move circuits are boring and very hard work.’You should try them though, because they work’, Ondra says. As I said before, Ondra is Czech and there is an interesting fellow countryman of his, a runner called Emil Zatopek. In the 1952 Olympics Zatopek won the 5,000 metres, the 10,000 metres and the marathon, the latter at his first running of that distance. To this day, he’s the only guy ever to win this crazy triple crown. Zatopek is often used by coaches as an example of someone who trained logically, and is cited most especially for his willpower. How important is willpower I asked Ondra. “It is fundamental,” came the quick reply. He cites Mrazek again about willpower that took him to World champ status, and he mentioned certain other, more apparently laid-back climbers whose will is belied by their appearance. You’re probably wondering where you can get some of this will stuff, but Ondra says that Will and Passion seem to be something you either have or have not, and you can only look after them, not get them. Things you can improve are how you climb, technique, power, stamina, speed and flexibility. What are his strong points? Adam answered will, passion, technique, stamina, speed and flexibility. So I said you left one out: power. “Yes, I still can’t do a one arm pull-up,” he says. “Because it’s not been a priority, and my climbing has always been improving, so I have not made it a priority, but now when I go home I might be able to do one.” Wow, that put me, and most of the gym rats of the world in their place. He did also acknowledge that he has had to do some bouldering sessions to help his climbing, and thinks it necessary to improve, but it’s an adjunct to his training, rather than the main thing. He also enjoys bouldering, but not as much as climbing. “Can you improve?” I asked the boy who has already done five 9bs, and 15 9a+ s. “Yes,” he categorically replied. And in that tiny three letter “yes” word, you have the future of climbing. “So, 9c, is it possible like a very few people are saying?” I ask.“Yes it is, but someone has to take the time,” he replies. The someones he is referring to, are of course, a half-dozen guys who in the main do comp routes, with a few gifted mavericks thrown in. Time is of the essence in 9c, or the future of climbing. Zatopek only had to be great for one week in 1952 to become immortal. Now we seem to demand way too much from our climbers. In Britain they stupidly require you to fiddle around with tiny wedges of aluminum, in the States they want you to fiddle around with holds that cut your fingers, and in many other countries they confuse climbing with plodding up snow slopes. So what is climbing for Ondra? He says: “Climbing for me is great routes, beautiful impressive and really hard routes. The beauty can be made up, or added to by the difficulty, in fact a great route may not have to be super-aesthetic, but parts of its beauty can be made up by its history. Take Action Direct, for example. Part of its beauty is made up by the fact that it is just very hard, even today it is a hard route, and its historical importance is enormous, and the big plus is, it was done of course by Wolfgang Gullich, one of my heroes, so all in all a very great route, and a must- tick in your diary.” “What about Hubble, then?” I ask. Hubble is the notorious 8c+ British route by Ben Moon. “Hubble is the same,” says Ondra. “Not such a great piece of rock, but it would certainly be 9a in Spain. And so it is very important, especially because it contains harder bouldering than Action Direct.” And then as an aside, Ondra started talking about Scotland’s great powerhouse Malcolm Smith, who chalked up on the 8b font crux. Ondra is not frightened to take the attention off himself, and big up another climber, which is typical of only a few of the great climbers of the moment. 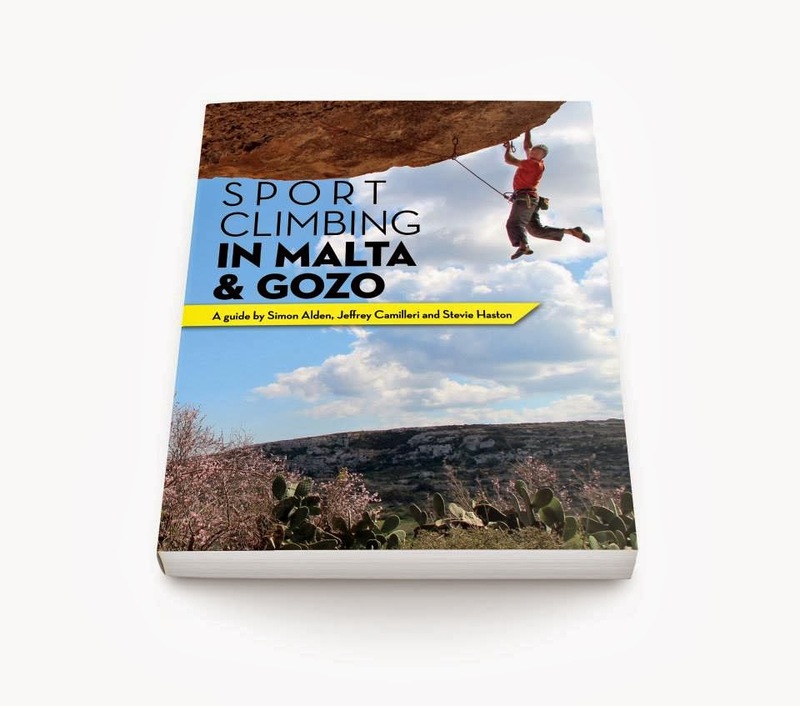 Staying on the topic of bouldering, and the Uber-strong, I ask about the boulder problem Goia by Christian Core. “Yes, a masterpiece,” says Ondra. “It’s not been repeated, and he was mighty too.” Ondra, of course, knows about this rock gem and it’s naturally on his list. But he has to make time. So off we’d go talking climbing, off the subject of the interview, and just talking rock. Ondra is a true climber who loves the history, and cherishes the historical routes. He says climbing is so good because it’s so varied, and there’s so much history, colour and beauty. So what about other sports? He likes some, but he’s not great at them, which seems very important to him. “So you have to be good at them,” I ask. “No,” he jokes, “you have to win, winning is good.” So we joke about winning, because assuredly, winning is good. How about coming second? “Second is OK, first is better,” he laughs. “Third not so good, you know it’s after second.” I am tittering at this stage, because I absolutely agree. So what’s it like to be beaten, I ask him. “Not so good, but you know the other man is better, they have worked harder, teach you a lesson, make you work.” So, what about the Spanish boys Patxi Usobiaga and Ramon Julian Puigblanque, I ask. 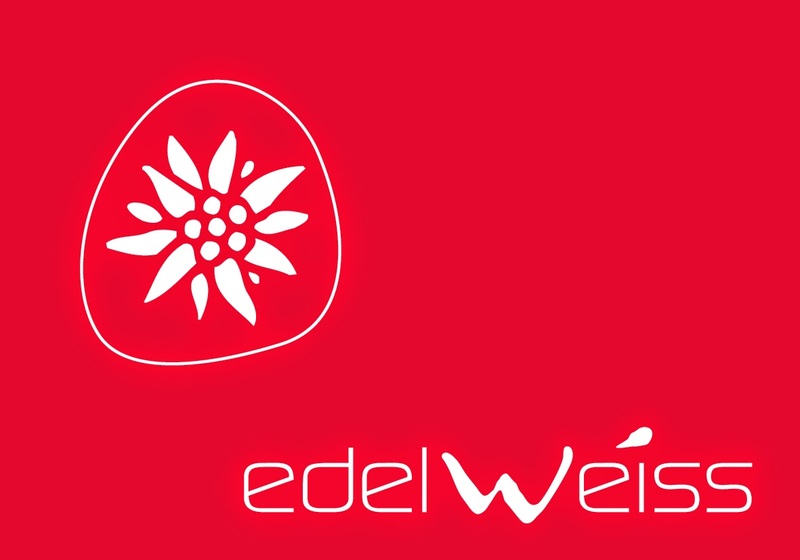 “They are very good, they train hard, they recover on medium holds, very fit and very strong, they concentrate on comps, but do very well on routes, when they have time. 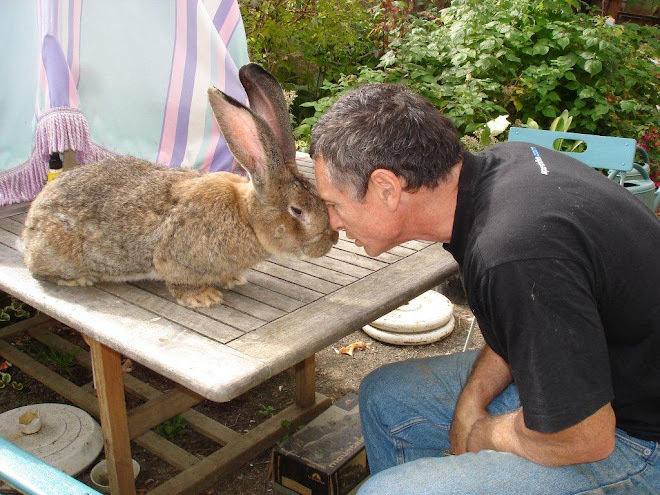 Ramon is especially impressive as he is tiny and on some routes I need my height,” he replies. Ondra weighs 60 kg and is very tall for this weight and he now also looks stronger than he did. He will probably only do a few comps next year as his time is becoming more precious to him, and it’s impossible to do everything, as he points out. His priority is to keep improving, and do good routes. What are the great routes? “Speed, Beat Kammerlander’s route, is total class, 30 degrees overhanging only 8c+, but hard to the end. Ali Baba, a multi-pitch 8a, overhanging for seven pitches. Silbergeier, the vertical Beat route on the Ratikon: fantastic rock, alpine scenery, and a bit exciting because of the runouts. You can’t get better routes. A cliff like Oliana in Spain where I just did the last 9b, just magic.” Which brings us to the subject of danger, and run-outs, and trad routes. “I don’t want to hurt myself,” Ondra says, “but run-outs are fine, skipping three clips is exciting and also sometimes necessary. And yes, I want to go to El Capitan, all in good time.” And maybe this is a good place to compliment Lynn Hill, Alex Huber and Tommy Caldwell. At the mention of the great Hill, I ask Ondra if he thinks a girl will one day do 9b, and he simply says “Yes, no reason not to.” Will grades continue to rise, I ask? He pauses and purses his lips, “they might start to tail off. Don’t know. Let’s see in a couple of years, climbing is still young.” So, before I let him back to his job of socializing, which I think he finds a little hard, I ask him if he does anything else. He reads magazines, books, he stretches, does some compensation for opposing muscles, and spins the wheels of a bike sometimes for recovery. And he has a girlfriend. “Normal stuff,” he says, smiling and I smile back, knowing full well that Adam Ondra is not normal stuff. As I finish the interview, I thank Ondra for talking to me and sharing his passion for the great sport of climbing. I wish him good luck with his training, and look forward to him putting up some super great routes. As he walks off, people shake his hand and I can’t but help remember a sequence of film of Ondra doing the full version of La Rambla in Spain. As he demolishes the route, skipping clips, two other great climbers are watching. Dani Andrada and his mates have been shouting, “Venga, venga,” but they just shake their heads, realizing full well he doesn’t need any boosting. Since this was written, Ondra did Cores masterpiece boulder Goia, Ondra says it might be upgraded if you wish. As this is the uncut version (ish) Ondra and I talked about grades a fair bit (nerds talk grades you know), He and I and a number of people of course know that there are two grading systems going, there’s the old system say pre 1990, and later, there’s also the bouldering grades which are haywire. Now then, if you speak up about grades and there manipulation you get hammered, witness what happened to Moon in France when he suggested some of their routes where over graded, the great boulderer Graham has also suggested there’s a conspiracy, he got hammered, so now people don’t speak out. It is pretty clear from talking to Adam and knowing some climbs around the world that of course Hubble under the new system was the first 9a in the world. Ben and Jerry were both clear about the two routes, they thought they could do Action but at that time it was only Ben who could have done Hubble. Now then, Action Direct is much easier today than when it was first done, a big edge was born, which made the route easier. Regrading the whole of the world should take place, if not, climbing is a mess. There should be one system, so we have something to work from so we can honour our climbers. When we have done this we are going to have to tackle the fact that climbing is odd because it is so morphologically personal, some people will just fail on some routes because of finger size, height or some other factor rather than skill and strength. Climbers have attempted to do this already in the international climbers comps, but the problem is tortuously complex and will need some fancy software to create models and equations. It will happen it’s just a question of when.